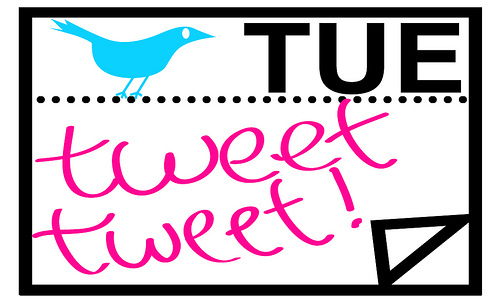 Welcome to Tuesday Tweets for August 9, 2011 — where we take a look at tweets from my Twitter feed for do’s, don’ts, best practices – and sometimes just for fun. Keep in mind that what we examine here is in no way personal. We’re all learning about building audiences online. In that spirit, if you disagree with my assessments, let me have it! I’m learning, too! @randfish Rand Fishkin Really like this “quotes of the week” format: http://t.co/TVmOk5W Others should steal this idea; it’s great content + builds relationships. This is from Rand Fishkin of SEOMoz. The link is to a blog post comprised of notable quotes from content the author has read during the week – including some back and forth dueling quotes. I wonder what Rand would think about Tuesday Tweets. It’s definitely helped me build relationships with some of the Twitterati I’ve reviewed. Next…Tuesday Tweet Quiz: See if you can figure out the nature of the following Twitter Chat based on the tweets excerpted from it. @RickGriffin RickGriffin Tuesday is the best day on Twitter! #NUTS #cruisechat #TravelTuesday #TTOT & #FriFotos theme announcement! “@MagicMichaelXXX: Anyone else travel with #nuts in their bag??? http://t.co/gDk5MTn” yuk! @KatrinaMauro Katrina Mauro hoping I can participate…busy day at work today! @eatsleeplaugh: don’t forget about #NUTS ! Figure it out yet? No? Follow the link in the last tweet above to solve the mystery. Sounds like fun. I might even join in next week! What don’t you understand about Twitter? I’ll look for tweets that answer your questions and discuss in a future Tuesday Tweets. Ellie .. This is really interesting … I look forward to following along with your Tuesday Tweets post for the best of do’s, don’ts, best practices!! Sandra, thanks so much for your comment. If you decide to subscribe to the blog I promise to try to be interesting on the other days, too! I’m anxious to learn more about MidLifeRoadTrip.tv. Will pay a visit soon!